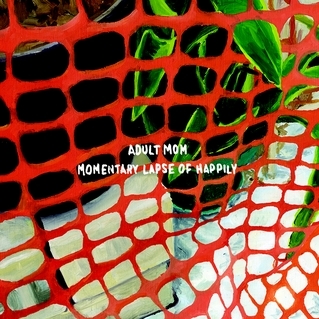 Adult Mom’s debut LP begins with a song called "Be Your Own 3am", a title that obliquely recalls Xiu Xiu’s 2006 song "Hello from Eau Claire". On that track, Caralee McElroy made a rare vocal appearance to sing, "I can weep through my own midnights" and "I know it’s stupid to dream/ That you might think of me as a man." Like Xiu Xiu in their softer, more reflective moments, Adult Mom, the Purchase, N.Y. guitar rock project helmed by songwriter Steph Knipe, scrawls gentle notes to self all over their music. Momentary Lapse of Happily externalizes many of the same queer anxieties that manifest in Xiu Xiu’s work, but in a lighter, warmer cadence more reminiscent of Knipe’s contemporaries in Eskimeaux, Girlpool, or Elvis Depressedly. Adult Mom performs Survival on the steps of Saint-Enfant-Jésus du Mile End church in Montreal.